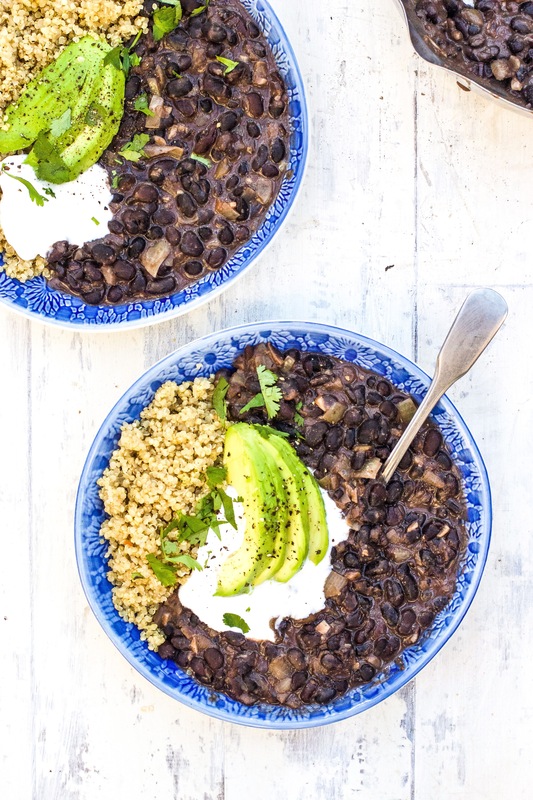 I don’t think you’d believe me if I told you how often I make these Easy Black Beans, they’re just the easiest thing to whip up and it’s like a hug in a bowl. I usually have them with quinoa, avocado and some coconut yoghurt (heaven) but they’re also amazing in tortillas with loads of guac. Leftovers are delicious reheated and they freeze really well too. Dice the onion and mince the garlic. Add the olive oil to a medium pot. When it’s hot, add in the garlic and onions and cook for about 5 minutes, stirring regularly, until soft. Sprinkle in the cumin and toss well. Add the drained beans and toss. Pour in the stock. Bring it to a simmer, then let it simmer gently for about 30 minutes. Season with salt and serve with avocado, coconut yoghurt and quinoa. This looks great Indy! I’ve been eating a lot of bean dishes lately, so I’ll defo have a go at this. Thanks a mill! Just made this bean recipe for dinner. 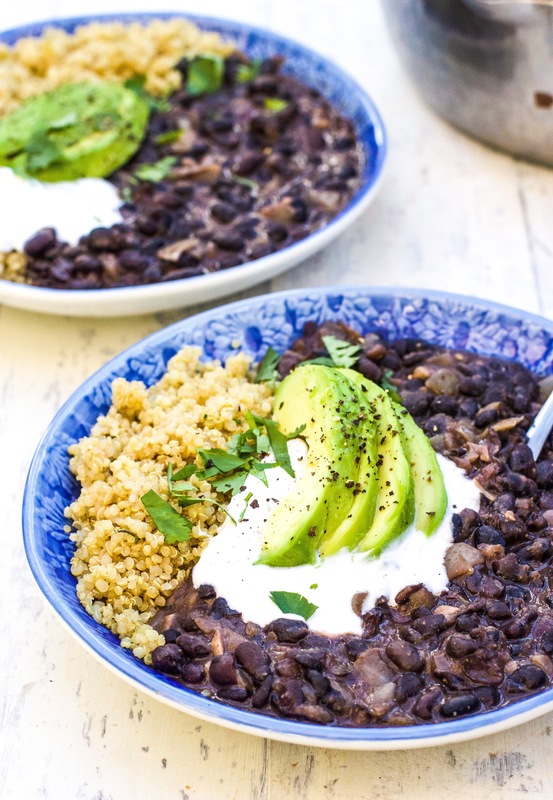 The combo of the beans with coconut yogurt and avocado makes it an absolute addiction!